A four bedroom sound front home is for sale in Wrightsville Beach, NC by Hardee Hunt and Williams Real Estate. The luxury property at 12 North Channel Dr. is an amazing opportunity for sound front, coastal living with expansive water views, private pier and designer touches throughout. 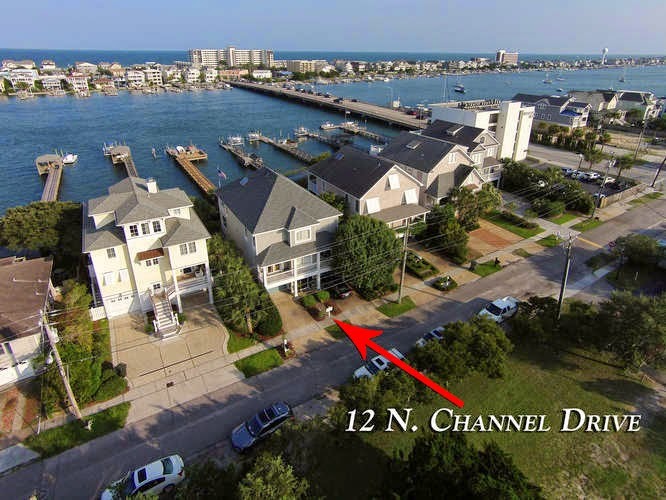 Wrightsville Beach, N.C. September 3, 2014 — 12 North Channel Dr. in Wrightsville Beach, North Carolina (MLS# 510119) is a well appointed sound front home is situated on Harbor Island in Wrightsville Beach. The location and features of this home allow year round water access and the best of the beach lifestyle. The private pier features a unique dock arrangement with multiple wet-slips, a 10,000Lb capacity boat lift, a large sun deck, as well as a skiff/jetski launch. After a day of boating, paddle boarding, or simply summing on the dock - return to relax inside this stylish and spectacular coastal home. The 3500 sq. foot home itself features 4 bedrooms and 4 full baths. Designer touches throughout include beach friendly hardwood flooring, a neutral coastal palette, high end finishes, and gourmet kitchen enhanced by butcher block counters. 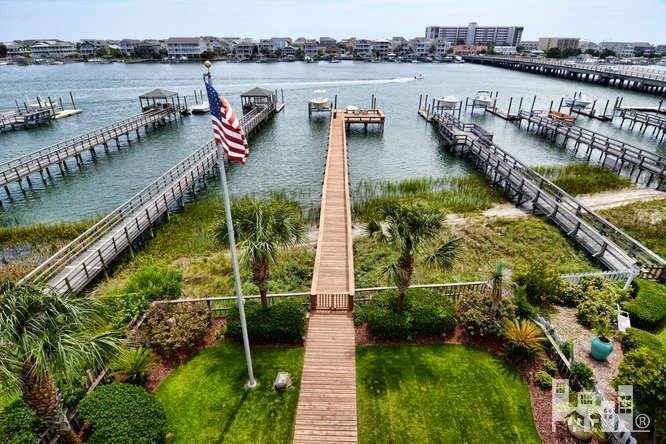 Spectacular sound front views and waterfront decks are accessible from every level. The open flowing living, dining, kitchen level floor plan is excellent for entertaining. You and your guests will enjoy the sizable waterfront master suite which includes a large lounge/office space along with a detail oriented top shelf master bath. Located on a quiet stretch of the island this is perfect for primary, secondary, or investment rental ownership. Hardee Hunt and Williams is a boutique real estate company with a focus on Wrightsville Beach real estate, Landfall properties, and Figure Eight Island. 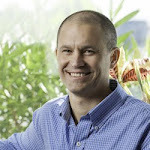 The agents operate as a team and know every inch of the island community. They have the knowledge, connections, and real estate experience needed to match sellers with the right buyers and to help buyers find the Landfall or beach property ideal for them. To learn more about 12 North Channel Dr., please visit http://www.hardeehuntandwilliams.com/listings/PropListing.asp?frm=bysearch&type=RA,%20CT&featured=1&page=5 For more details about Hardee Hunt and Williams or to learn more about Wrightsville Beach Real Estate, please visit http://www.HardeeHuntandWilliams.com.